With the Irish government due to announce the 2018 Budget on Tuesday Oct 10th we will all be hoping that there is some good news in it to help us all have a little bit more in the pocket for spending. Purchase.ie have decided to get in on the act and offer you a 5 euro discount when you spend 20 euro or more on any order with us throughout the month of October. 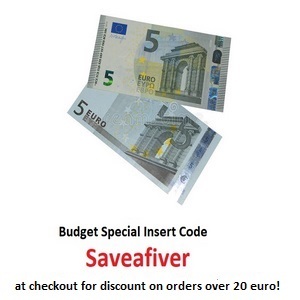 To avail of this offer simply insert the code Saveafiver at Checkout or call us on 066 71 36 486 and quote the code and we can process your discounted order over the phone. Please note: If the transaction total is less than 20 euro the transaction might go through but your order will not be processed. Instead a refund will be issued to your card and you might be subject to charges by your card provider.